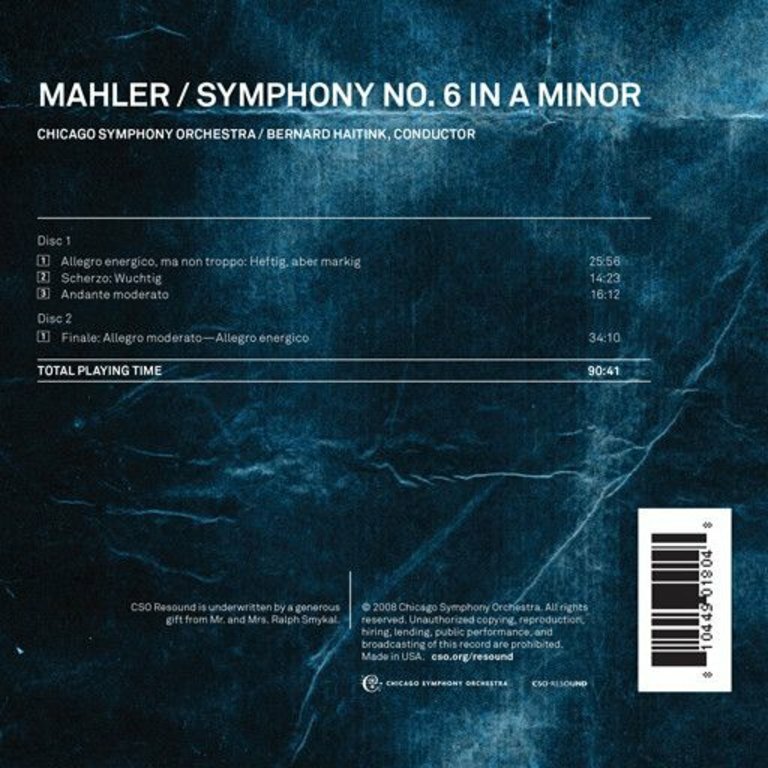 The Chicago Symphony Orchestra’s performance of Mahler’s deeply tragic Sixth Symphony, under the direction of Bernard Haitink, is now available to the world on the CSO Resound label. According to the Chicago Tribune, Haitink’s Mahler 6 "felt so right—[with its] accumulation of massive physical power, the feverish buildup of heroic optimism and its crushing defeat with each fatalistic blow, [and] the magnificent intensity of the CSO’s playing." The Chicago Sun-Times noted, "When have the two trios of the blazing Scherzo movement sounded so gentle, like lullabies? When has the Andante felt so personal?" 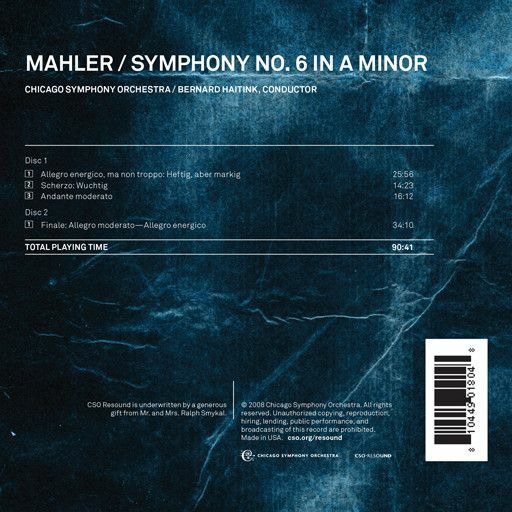 Gustav Mahler, Symphony No. 6 in A minor, "Tragic"